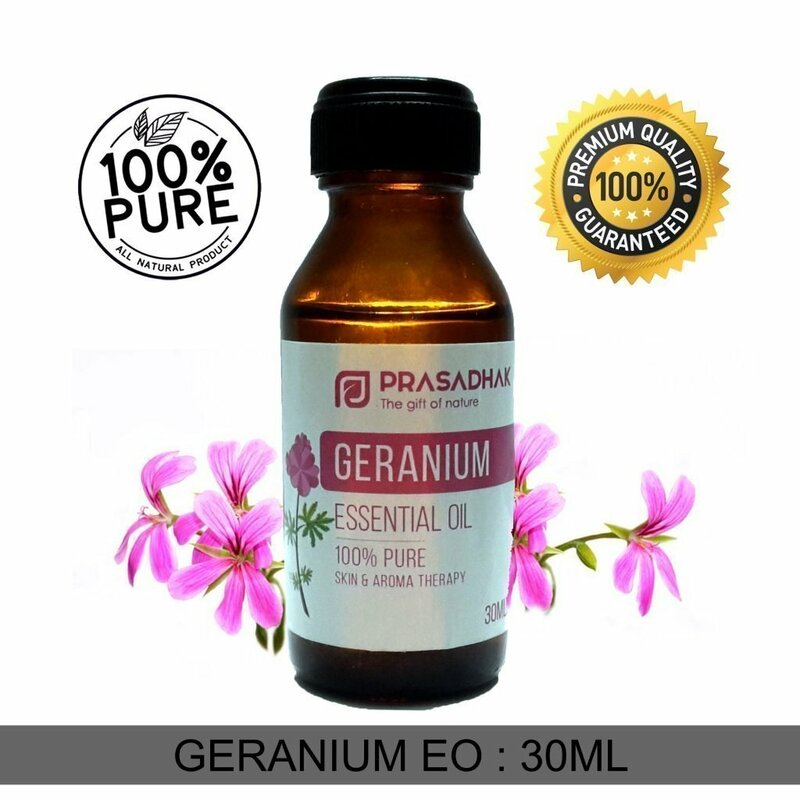 Geranium Essential Oil is commonly used as an element in aromatherapy for its many health benefits, like treat acne, reduce inflammation, alleviate anxiety and balance hormones. This sweet-smelling oil can also uplift your mood, lessen fatigue and promote emotional wellness. 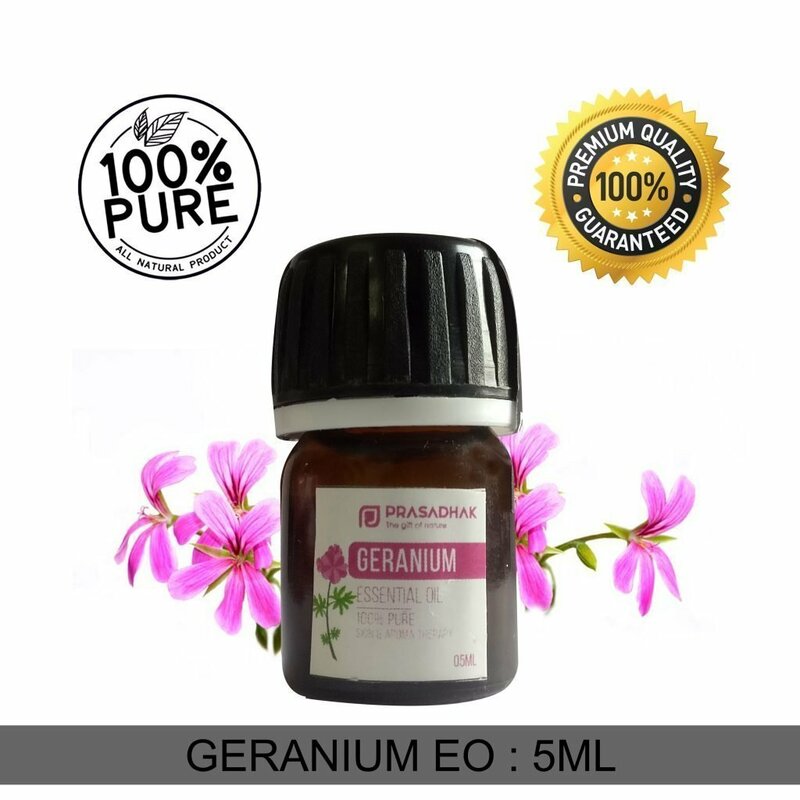 Geranium essential oil can be applied topically, as a compress, in the bath, through direct inhalation, or used with a diffuser. Use two drops rose geranium in direct palm inhalation to uplift the mood and spirit. Add several drops to facial creams to care for clogged pores and oily skin. 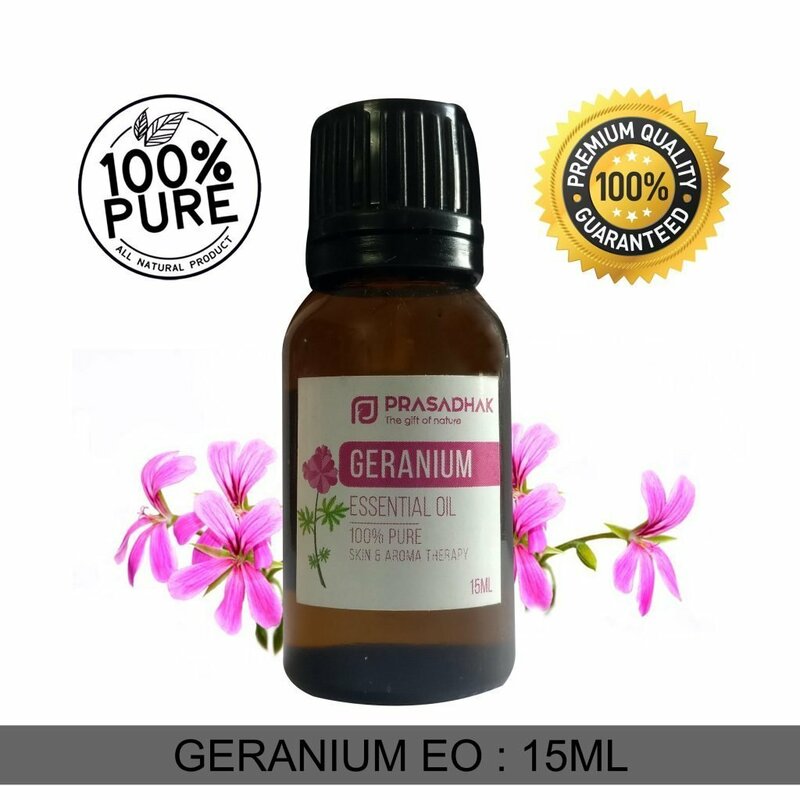 The balancing properties of Geranium make it great for both dry and oily hair. Apply a few drops to your shampoo or conditioner bottle, or make your own deep hair conditioner. Diffuse aromatically to help relieve occasional stress and tension. Place one drop in the palm of your hands, rub hands together, and cup over nose and mouth to breathe slowly, or diffuse as desired to release emotions. 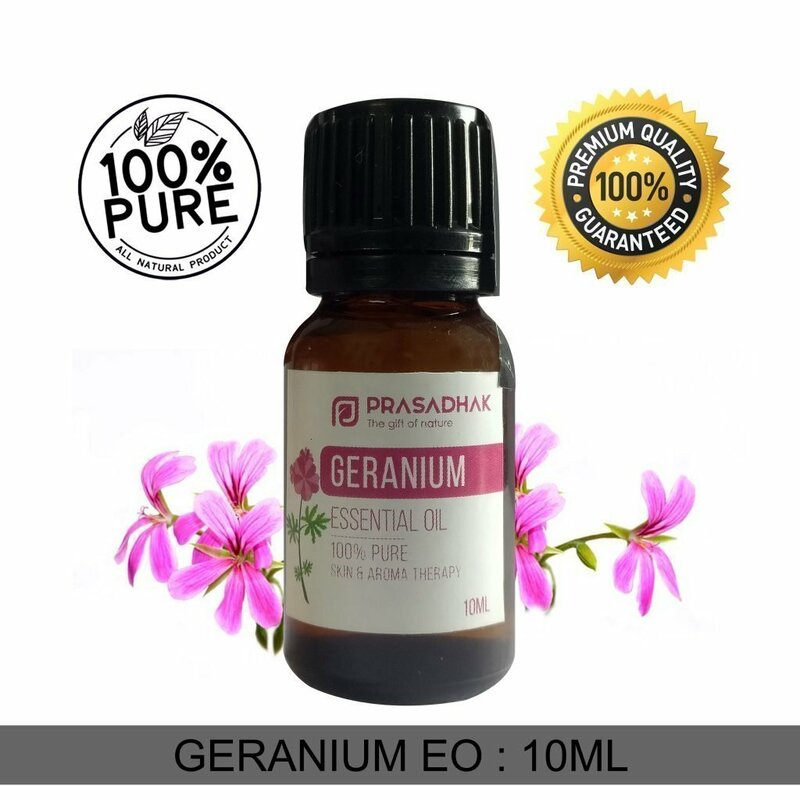 Diffuse geranium oil throughout the room, apply over the heart or solar plexus, or breathe from the palm of your hand for connection.